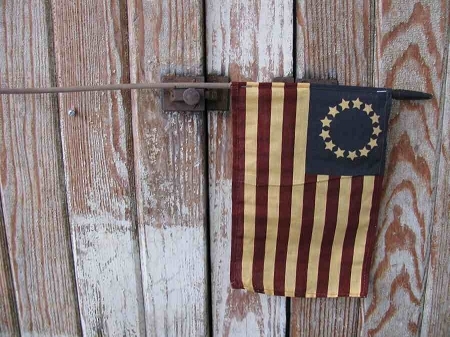 Primitive Betsy Ross Tea Stained Flag. 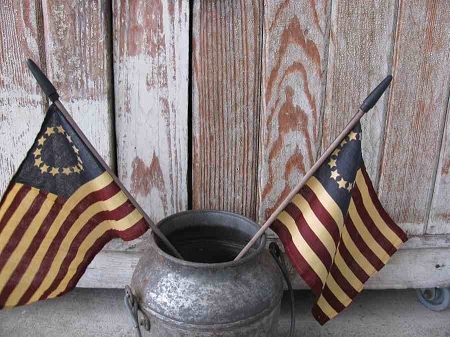 I love primitive looking flags for baskets, flower pots, crocks, jars and more. In the summer I stick them in my flower pots, planters and more! The small accent of a flag really brings out the Americana theme or highlights for the Fourth of July! This is the 13 Colony Flag. Size is 9"x6.25" and comes on an 18" stick.